Frank Schlather was a local cultural icon. When current owner, Pat Molak, bought the Hall, Frank sorta came with it. He had a key and was opening up sometimes for the janitor – so Pat let him keep a key and continue to open up for the janitor at 5 or 6 am on Saturday and Sunday mornings after the dances the night before. He was very reliable. Even when he stayed at the Hall late dancing and was a little hung over the next morning, he would arrive on time. But on those days when Pat came in at 11 am to get ready to open up the Hall at noon, Frank would be passed out taking a nap on the picnic table in the beer garden - or if it was winter, he would be passed out on the pool table. That didn’t happen very often, but every now and again, and it really made Pat chuckle. Frank really liked to dance – he would ask all the girls, and not one refused that we can remember. He had a great grin and was a very happy fellow – he liked the fast songs and had sort of a jerky jig in his dance step – very lively. Every now and then he would have a really hard day at work. 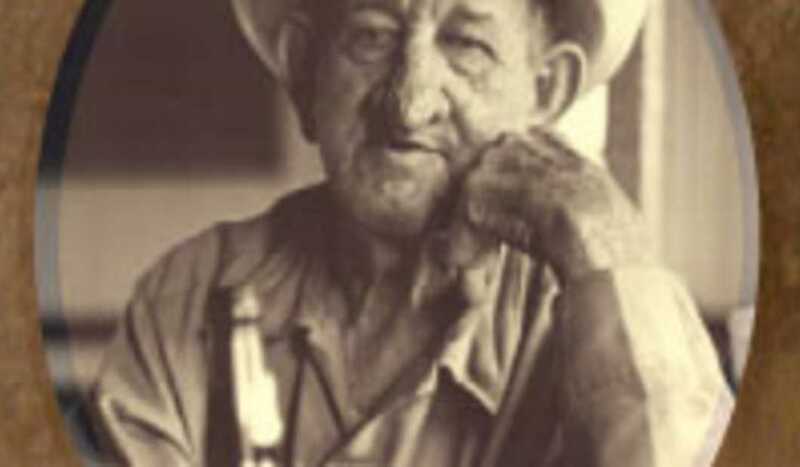 Frank worked at the Hadlock and Fox Saddle Tree Manufacturing Company that was in the two story brick building right across from Gruene Hall at that time. On those hard days he would come in and ask for a “tranquilizer” – that of course was his favorite longneck beer, a Falstaff. On the days after he partied hard the night before he would have a tranquilizer when he opened up for the janitor – that might explain why he was napping when Pat arrived to open up. Everyone loved Frank. 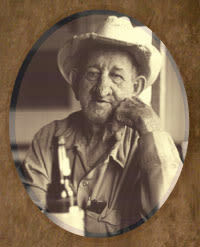 He was the unofficial “Mayor” of Gruene and part of the social culture of Gruene Hall. All the visitors wanted their photo with him and Frank always accommodated with his precious, cheerful grin and spent a lot of time talking to folks. If Pat or any one of the employees or regular customers were feeling down about something, Frank would always have a kind word of cheer and encouragement and even a hug sometimes. So I guess you could say he also acted as the onsite Hall counselor occasionally. His big heart of gold and beautiful aura made up for any lack he may have had in the looks department. He was always easy to spot with his big nose, crunched up cowboy hat, bowed legs and big smile. We miss him dearly – so each year on his birthday, June 23rd, we celebrate his life and what he meant to all of us who knew him.